About 252 million years ago, more than 90 percent of all animal life on Earth went extinct. This event, called the "Permian-Triassic mass extinction," represents the greatest catastrophe in the history of life on Earth. Ecosystems took nearly five million years to recover and many aspects of the event remain a mystery. For this study, the research team focused on marine ecosystems, which were decimated during the Permian-Triassic mass extinction. Previous studies demonstrated that the loss of dissolved oxygen in Earth's oceans, an effect called "marine anoxia," played an important role in the mass extinction event. The team wanted to find out when the anoxia occurred, how widespread it was, and how long it persisted after the extinction event. In particular, the team wanted to see if separate episodes of extinction that happened during the long period of recovery were driven by episodes of ocean anoxia and other environmental changes. Typically, scientists determine ocean anoxia levels by looking at the abundance of pyrite, commonly known as "fool's gold," and other elements and minerals in ancient mud rocks. But mud rocks only provide clues to what may have happened at a single location. Scientists need to sample dozens of sites around the world to infer the big picture from mud rocks. To overcome this, the team pioneered a new and more efficient approach. By studying the variations of uranium isotopes recorded in carbonates, the team was able to infer global anoxia occurring throughout the ocean using samples from a single outcrop. 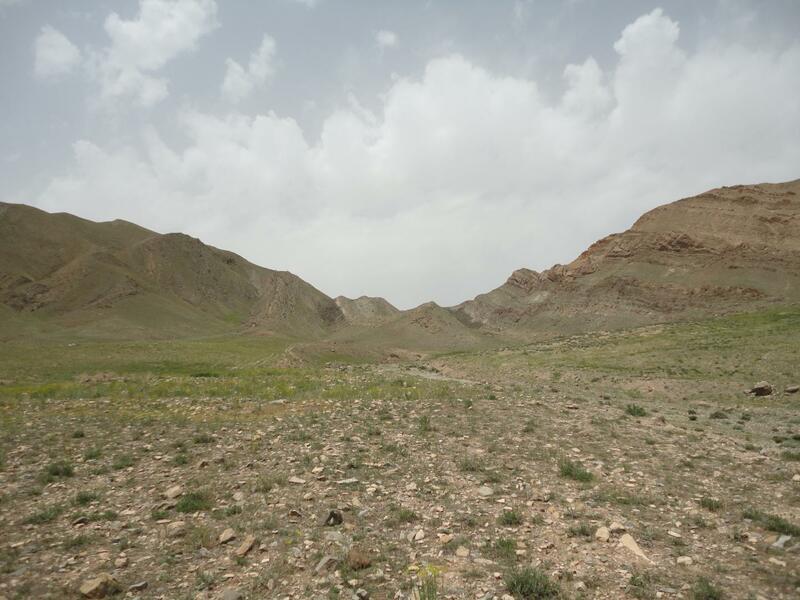 These sediments, collected in modern day Iran, were deposited 252-246 million years ago in a relatively shallow tropical ocean near the equator. The resulting variations of uranium isotopes gave the team the answers they were looking for. They were able to show that episodes of extinction coincided with pulses of ocean anoxia, driven by changes in ocean circulation and nutrient levels. "This finding," says Zhang, "provides important insights into patterns of oceanic environmental change and their underlying causes, which were ultimately linked to intense climate warming during the Early Triassic." This team's discovery also calls attention to the possible effects of modern climate change, because global warming was the ultimate driver of marine anoxia in the Early Triassic period. "One of the most interesting and worrying things about the Permian-Triassic extinction is how similar those events are to what is happening today," says co-author Stephen Romaniello. "Similar to what happened during the Permian period, the Earth's modern oceans are facing rapid climate warming and enhanced nutrient fluxes." Point in fact, scientists have discovered more than 400 marine dead zones in the modern oceans. These are mostly linked to elevated nutrient fluxes in coastal areas, and global warming is likely to cause these zones to expand dramatically in the future. "Our work shows that if we continue on our present course, there is a good chance that oxygen depletion will exacerbate the challenges marine organisms are already facing," co-author Thomas Algeo added. The ASU-led team includes Feifei Zhang, Stephen Romaniello, Harrison Smith, and Ariel Anbar of the School of Earth and Space Exploration who worked with researchers Thomas Algeo of the University of Cincinnati; Kimberly Lau of the University of California, Riverside; Matthew Clapham of the University of California, Santa Cruz; Sylvain Richoz and Micha Horacek of the University of Graz (Austria); and Achim Herrmann of Louisiana State University.